There are many people who don’t believe that making a very good living by selling products on Amazon is really possible. They’re the doubters, the ones who don’t know the reality of what is possible by leveraging the amazing Amazon platform to their advantage. Today’s guest, Amber, was one of those people. She heard about FBA from a relative and had her doubts. But over time she decided to at least give it a try, and began with just over $1,000. Her success has been amazing – over $20,000 in product sales already! In this conversation she tells Scott how her journey has progressed, what’s going on now, and and how you can get involved if you’re willing to take action! From doubter to amazing seller in 6 month’s time. When Amber first heard about private label sales on Amazon she thought it couldn’t really work the way she was hearing. But once she gave it a try, she discovered that she was wrong. Her products have taken off in an amazing way, selling as many as 200 items per day. Since that time she’s begun a second brand and product line, aiming to build her business to even greater heights. Amber’s experience demonstrates that if you are willing to take action, you can build your own business to support yourself and your lifestyle. Listen to Amber’s story and get some inspiration about what you can achieve! Why taking action is the most important step. Since Amber was a skeptic when she first heard of Amazon private label sales, she could have easily sat back, watched things happen, scoff at the amazing stories she heard, and left it at that. But she didn’t. She took some action steps to try it out for herself, to test it out to see if what she was hearing was reality. What she discovered is that selling on Amazon is even more lucrative and powerful than she thought. She’s gone from skeptic to sold out believer, in just 6 month’s time. You can hear her story on this episode of The Amazing Seller. Where did Amber get a product idea that sells $20K a month? Amazingly, Amber didn’t get her product idea from using a fancy software package and doing a lot of research. She simply paid attention to the things that were going on around her, saw a product someone she knew was using, and thought it might be a good product to offer on Amazon. Turns out she was right. That product is now selling to the tune of over $20,000 per month. How is that possible? For sure, she happened to hit on a great product at the right time, but she also had the benefit of being an action taker. If that product hadn’t worked out nearly as well, she likely would have tried something else. You’ve got to take action. It’s really that simple. Take some time to listen to this episode so you can hear Amber’s entire story. Scott’s 10X10X1 strategy has multiplied itself over and over for Amber. 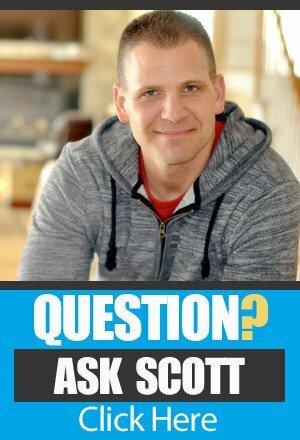 The basic structure Scott suggests new Amazon sellers aim for is 10 products, selling 10 per day. But because she took action Amber has seen that kind of success with only one product and a few variations. 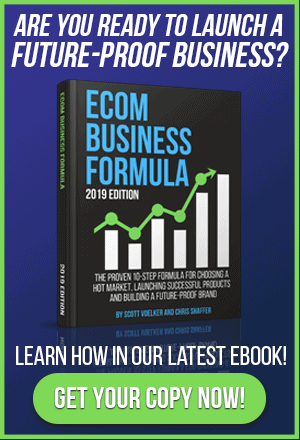 Her success is obviously not something that anyone can guarantee for new sellers but it clearly demonstrates that even without a ton of research, great product ideas and lucrative income can be a reality. Think of what might happen if you DO put into practice all the research and tips that skilled and seasoned sellers like Scott are teaching? Your success could be greater than Ambers! [0:05] Welcome to this episode of The Amazing Seller – introduction to today’s show! [1:33] Your invitation to the TAS Facebook group! [2:27] Scott’s introduction to Amber, a member of the TAS facebook community. [3:30] The unreal experience Amber is having. [4:13] How Amber was introduced to private label sales on Amazon. [9:00] Amber’s first order and how she got started. [11:10] How Amazon’s removal of family and friends reviews affected Amber. [12:50] Starting Amazon PPC and the beginning of sales. [15:10] Selling an average of 13 per day and growing from there. [17:48] Issues running out of inventory. [19:00] Adding variations and modifications: the benefits in being unique and in keywords. [22:30] How adding the variations impacted Amber’s sales. [24:48] From an order of 300 to an order of 6000, growth is happening! [32:30] How Amber discovered her initial product. [35:53] Amber’s feelings about the Amazon platform now and how she recommends others approach their own business ideas. [38:24] Scott’s summary of the conversation and what you can take from it. I just need to start. I have just one item in mind and it seem like the Web is saturated with saling this one item. I too am a mom of 5, one child in college and 4 children 8 and under. Just recently I was passed over for a promotion I was working hard towards and it went to the hand of someone else outside of our community. That was my breaking point. I’m still there part time and I love what I do, however I desire to be settled in our own home , I desire to homeschool, I desire the freedom to be free. Thanks for the inormation , I always over think things!! Tomensons ? What was the name of the review service she mentioned? Do you use another review service? Hey Albert, I believe she was talking about Tomoson.com! I’m a single mom, have been an ebay seller for over a year and just opened my AZ seller account this morning. this is how new I am, My books are layed out on the kitchen table and I’m about to pack my FBA shipment. My goal for 2016 is to have a PL by end of year (hopefully sooner). I have been listening to a few of your podcasts and will keep on listening and learning, I want to thank you for all the information and the inspiration. i will learn, I will take action, I will make mistakes but I plan to also make money and keep going. Rock on Marie! The TAS community will be here to celebrate all of your victories and help you learn from any mistakes you might make!